On the second Sunday in January Roger Payne of the Mid Sussex Martial Arts School arranged a day of Judo to compare the traditional and the Olympic. Richard Raymond of the Aylwin Judo Club showed us the traditional and Karina Bryant (2012 Olympic Judo Medallist) showed us the Olympic. After the warmup we continued with the Olympic style and then followed on with the more traditional style of Judo, switching between styles for the rest of the day. It was quite interesting to see how similar both styles are but also why there might be a difference. The Olympic style emphasis on absolutely making each attack count whilst at the same time not compromising your attacking position. Thanks to Roger Payne and the Mid Sussex Martial Arts School for facilitating the event and making everyone so welcome at their dojo. Many players won medals and a full tournament report and photos will be published on this website soon. Over 30 British players travelled to Holland for the 20th Houvast Tournament at the weekend from both the British Judo Association and the Amateur Judo Association. The competition is a very high level and the British players managed to win a total of 3 Bronze medals and a Silver medal in all the categories entered. 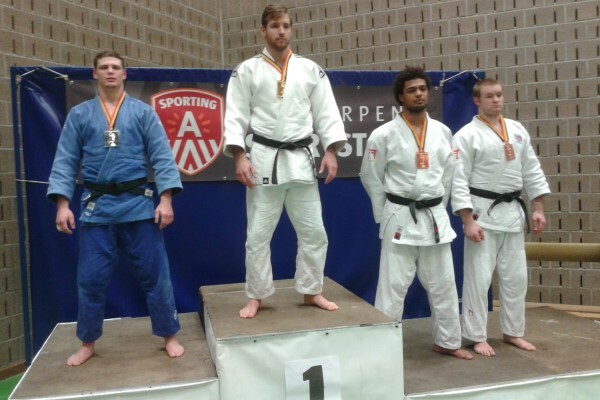 Peter Vincent, fighting in the over 90Kg weight group was faced with a number of Dutch National medallists and beat the number one seed, Michel Van Turk, in the quarter final by Ippon hold down. A bruising encounter with Jeffrey Havers of Holland in the semi-final saw a big ippon throw by Vincent take him into the final where he was beaten by Thomas Van Gestel who took Gold. This competition is always a difficult one to win a medal as you also have to fight off for 3rd and 4th to win a Bronze if you fall into the repecharge so it was important to make the final to hit my medal target. I am sure I will get another chance to fight Van Gestel. It is all part of gaining international experience at this level before moving up to Senior European Cup level and beyond. England Judoka Peter Vincent (far right) secured a Bronze medal in the under 100kg senior category at the Antwerp International in Belgium. In a tough competition that saw favourite Mistral Janssen of the Netherlands fall at the final hurdle to fellow countryman Kevin Ten Hoeve, Peter completed a podium position finish after defeating Belgian Idrissi Alami Mounir by Ippon in golden score. Peter went down in his first fight against Tom Goermaat of the Netherlands in a close contest which saw a reversal of their previous meeting. 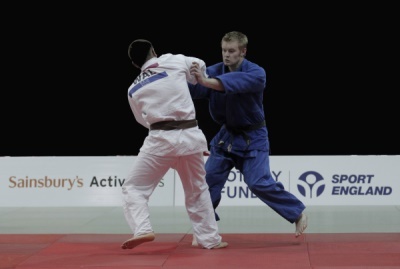 However an ippon win against Jeffrey Havers from the Netherlands set up the Bronze final with Mounir. I was pleased with my performance today as the whole group was filled with great players making all the fights difficult. Idrissi was fighting well and was unlucky not to win the competition after losing a very close fight with the eventual winner by a penalty in golden score. His gripping was excellent and although I did manage to keep attacking it took a big throw in golden score to get the win. I need to get as much international experience as possible in order to progress to the senior European cup competitions and beyond and I am very happy with my performances so far this year. 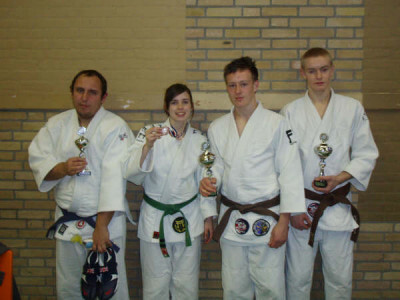 Peter Vincent (Far left) picked up a well-earned Silver medal at the Tornooi van Ingelmunster in Belgium with some outstanding wins. An unexpected loss against Karel De Splentere, a medallist at the Belgian senior nationals, put on early pressure. Peter came back with an ippon hold down win against Jan Aelbrecht to put him back in contention for the Gold medal. The next fight was against top Belgian Robin Monteyne who won under 21 European cup medals in Italy and Poland in 2014 and represented Belgium in the under 21 World Championships. Peter dominated the fight and beat the Belgian on penalties. This left Peter to fight Hungarian Sandor Molnar for the Silver medal. Peter scored wazari in 20 seconds and finished the fight with a massive ippon shortly after. A very impressive set of wins. I am pleased to pick up a medal as the standard at the competition was excellent. I need to fight European cup medal winners as often as possible and get wins against them to get me to the next level. I only lost the Gold on count back which meant even though I beat the Gold medal winner I only took Silver. 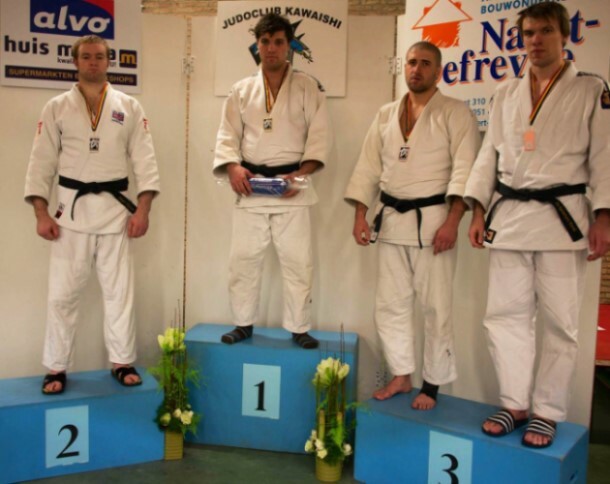 Englands Peter Vincent started off the 2015 season with a Gold medal in the 31st Royal Judo Club Nivelles Judo international in Belgium. Four wins in the over 90kg seniors saw him lift the Gold with a final win against Belgian Idrissi Alami Mounir. There were also wins against Jordan Modave and Didier Fontaine of Belgium and Micah Dahlem of Luxembourg. Peter also celebrated his inclusion on the England Squad for the 8th successive year. It was a great competition to start the year with four tough fights. I am pleased to make the England Squad again this year and receive the Talented Athlete Sports Scholarship funding as one of the top 20 England Judo Squad players. I am currently working with the Sports Science Department of Chichester University as part of the TASS initiative and it is really helping my Judo. This will be a busy year for me developing my judo skills as a full England Senior having left under 21s as Great Britain number one in my weight. In August 2013 the Dai Nippon Butoku Kai, International Division held a Butoku Sai in London. 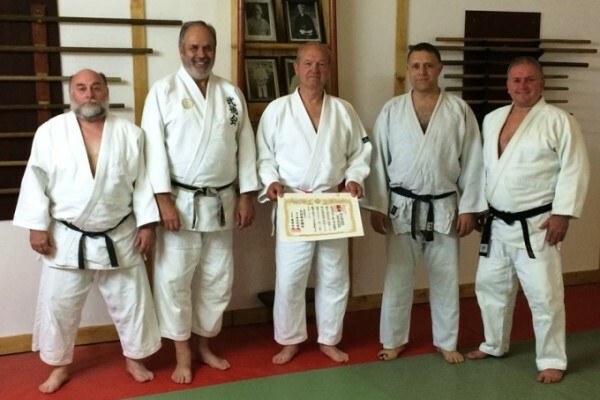 During the event Richard Raymond was promoted to 8th Dan Hanshi by the head of the international division. 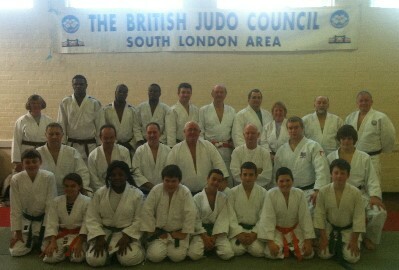 A magnificent acheivement reflecting the many years of training and teaching judo. A remarkable acheivement! Richard was presented with his certificate by Roger Payne who is the UK coordinator for the DNBK. 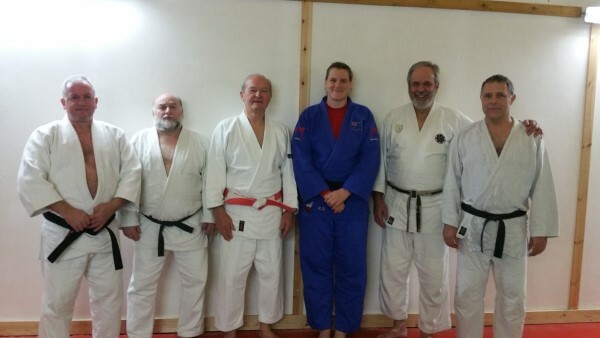 Also, in the photo are the three instructors from the Aylwin Judo Club. 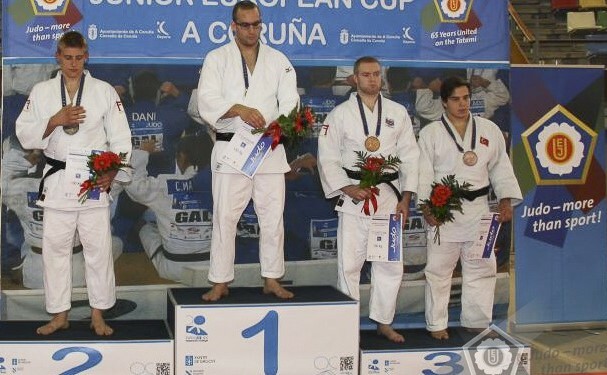 Peter Vincent moved into the IJF World Under 21 Judo Rankings with an outstanding Bronze medal at the Spanish Under 21 European Cup In La Coruna, Spain. This will take Peter just outside the world top 20 when the new rankings come out in the next few days. An added bonus is that it gives him 200 ranking points for the GB under 21 rankings and takes him back to number one after missing a number of ranking competitions last year due to hip surgery. Come and join us any Tuesday or Thursday evening for a great Judo session. Our club has a friendly atmosphere and we welcome players of all abilities. We have several instructors and can work with you on your contest technique be that counters, multiple attacks. We can also work with you on Kata for your gradings or just for the improvement to you technique that is learnt from kata practice. Take a look at the "New To Aylwin" menu within the "New to AJC" menu to the left at the top of the page. We look forward to welcoming you to our club and hope to see you soon. It has been a busy couple of weeks for GB Judo ace Peter Vincent. Peter took the South Coast Senior Dan Grade title with four straight wins at Worthing in the over 90kg class two weeks ago whilst warming up for the Under 21 English Open championships at Sheffield held last weekend. Peter took Gold in the Under 100Kg class beating his GB rival Charles Grocock from Huddersfield in the final of the English Open. "I am very pleased with the English Open win having missed the competition last year with injury and it was the only under 21 domestic title that I had not won so it is a special one for me". "I lost to Charles in one of my comeback competitions after my hip surgery last year in a very close fight and it was great to get my revenge in another close fight this time". Peter will start to move on to internationals shortly with trips to Belgium, Holland and Spain in the next few months and also his first appearance in the Great Britain Senior Open held at K2 Crawley in May. 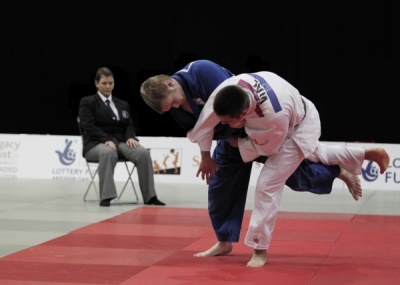 Oliver Chesney (inset) won a silver medal at the British Judo Championships held in Sheffield on the 8th December 2013. As a result Olly has now been awarded a place on the England Judo Team and 2014 promises to be an exciting new year for him. Oliver's aim is to one day, perhaps in 2020, be a member of the British Olympic Judo squad and represent his country in this worldwide sporting event. Olly trains four nights each week and this dedication to his judo means that the past year has been a very successfull one for Olly and he has won numerous medals in competitions at local, national and international level. Oliver has had an amazing year and his instructors and family are confident of him progressing even further in 2014 when he will need to fight all over the country and abroad to keep the success going. Travelling, accomodation and additonal judo suits for this higher level of competition are expensive and we are looking for sponsors to help Olly and his family fund Olly's endeavours. Should you know of available funding then please let us know so we can check it out. A fantastic turnout with lots of players representing many clubs from all over London and Kent. 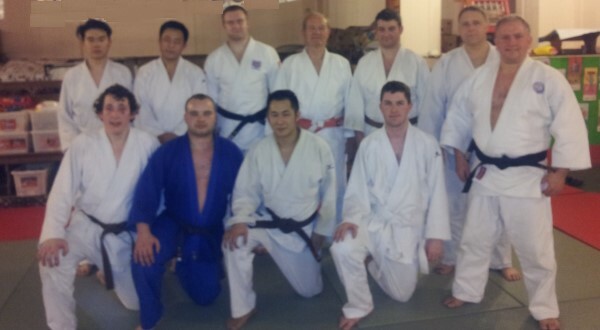 This event was hosted at the Men Do Ryu Judo Club. In addition to practising and learning Nage No Kata and Katame No Kata, some students went on to work on Kime No Kata and Ju No Kata. Come along and join us in March for the next course. 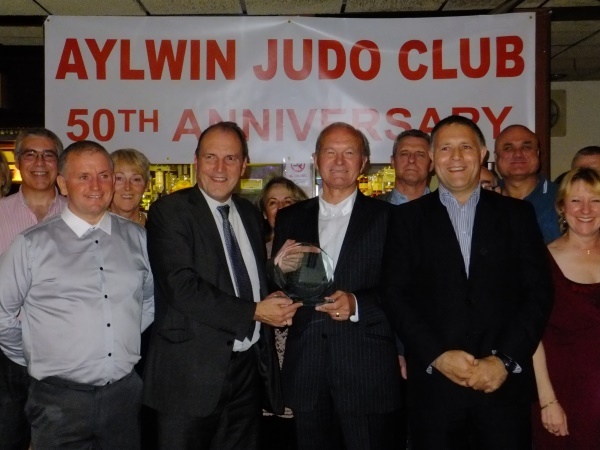 On Saturday 13th October the Aylwin Judo Club organised a celebration to recognise the contribution of Richard Raymond to the community of Southwark and the Aylwin Judo Club over the past 50 years. 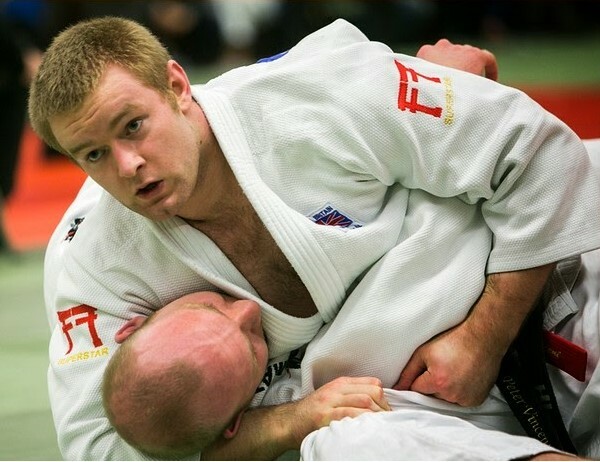 Richard is a Sixth Dan with the British Judo Council and started Judo whilst on national service in the British Army. He is a man of great integrity and the name Richard Raymond is synonymous with the Aylwin Judo Club. 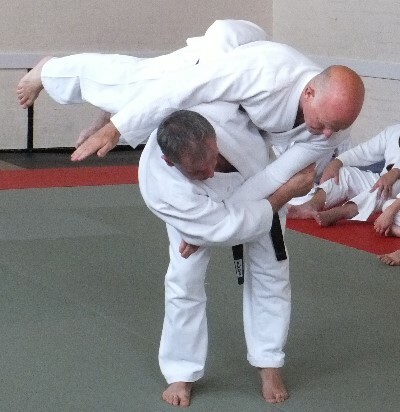 Richard has taught and travelled for Judo across Europe and as far afield as Japan where he demonstrated Judo in the Butokuden in Kyoto, Japan, on two occasions. Friends from Europe attended and many who couldn't be at the event sent messages of congratulations. Many of the messages talked about how Richard is highly respected for his integrity, technical knowledge, expertise and professionalism and thanked him for him giving freely of himself over such a long time. One surprise message which recognised Richard's achievement was sent from The Dai Nippon Butoku Kai (DNBK) Honbu in Japan. (Honbu means Main Dojo) For which Richard holds international membership. Richard's final surprise of the evening was the arrival of the Deputy Leader of the Liberal Democrats in the House of Commons, our MP for Bermondsey and Old Southwark for almost 30 years, Right Honourable Simon Hughes. Simon presented Richard with a commemorative plaque recognising his contribution to Southwark and the Aylwin Judo Club over the past 50 years and spoke highly of Richard's contribution. Some of the highlights of Richard's achievements over the past 50 years include the coaching of a number of national champions and national medallists both male and female. Scores of black belts many of whom have gone on to become high ranking Dan grades and club instructors. He headed up 2 highly successful international tournaments at Crystal Palace and a number of national tournaments. Running a club twice a week and for much of that time the South London Area which routinely runs 3 weekends a year for courses and gradings, a further 2 weekends for European trips and around 3 club competitions, is a big commitment. In 1993 Richards was awarded a Scroll of Honour, for high achievement and long service, from Southwark Council. The organisers of the event were very pleased that Richards's wife and family came to join in the celebrations. Aylwin Judo Club still thrives Tuesday and Thursday evenings at Scallywags' Nursery which is in St Crispins Church Hall Southwark Park Road. So, how long is 50 years? When Richard started Judo the domestic microwave oven, TV remote control and the Jet Airliner didn't exist! That's how long 50 years is. 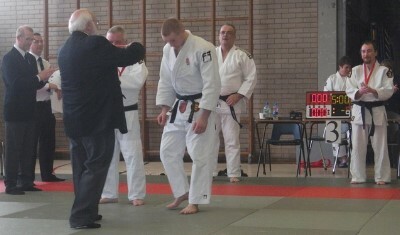 Congratulations to Sensei John Baseley, 3rd Dan. After what seems like a very long wait, Sensei John Baseley has had his promotion to 3rd Dan confirmed by the British Judo Council. In the photograph John is seen demonstrating a technique from Ju No Kata with Peter Baldwin. Ju No kata would have been just one of a number of katas that John would have had to demonstrate at the national course in Bognor last year. At the end of the trainig session Aylwin Judo Club Primaries and a few Juniors wave a flag before the long Diamond Jubilee weekend. 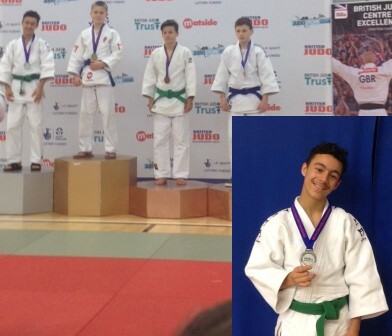 Peter Vincent had a busy week of judo competitions recently with three major competitions in eight days. The 17 year old England International travelled to Sheffield for the British Closed Championships and took a Silver medal after moving up to the under 100kg category in the under 20 age group. The he was representing England in the Commonwealth Judo Championships in Cardiff where he lost a close fight to the Maltese number 1 but was pulled into the repecharge and fought through to take Bronze, defeating Tom White of England. A quick dash up to Walsall for the Midlands Age Banded under 20 ranking event for the following Saturday saw Peter take another Silver to confirm his position as GB number 2. Peter said "I am pleased with my performance this week and I am looking to win Gold at the National Age Banded Championships in October this year and to get selections for the European and World under 20 championships in 2013. It was great experience to compete in the Commonwealth Championships and represent England again". Peter Vincent (Aylwin) and John Hisee (Green Dragon) attended a top training camp in Dunkirk, France on the 29th and 30th August 2011 to complete their final preparations for upcoming competitions in early September. 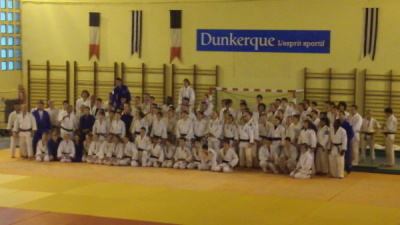 The camp was attended by both National and Regional French and Belgium judoka and it was an excellent standard mixing technique and randori sessions with additional fitness sessions before breakfast. Both lads felt that the experience gained with the high standard of judo on the camp helped their preparation and hope to return next year. They certainly made friends on the camp with their judo and sportsmanlike attitude which earned them a special mention and applause at the end of the camp. A credit to the South London Area BJC. Peter Vincent continues to go from strength to strength with his most recent success in the AJA Nationals where he won both the under 90kg Dan grade Championships as well as the open Dan grade Championships. This has led to his selection for the AJA National Squad visit to Mierlo, Holland in May. Peter, already a member of the England Squad, qualified for the Under 20 GB Squad by winning a Bronze at the GB Trials in January. This was followed up with medals at the 3 major ranking competitions so far this year which means Peter is currently ranked at number 2 in England in the under 90kg category for under 20s. A great achievement for the 16 year old Dan grade. He represented the club in the Biggin Hill Championships winning Gold where he managed to win by a yuko in the golden score. Peter is training hard under the South London coaches at Aylwin Judo Club which has sessions on Tuesday and Thursday nights. The club caters for all ages and all standards from Novice to Dan grade. The tournament attracts players from Holland, Belgium and England. England were also represented by BJA London Club. For some of the squad this was their first international competition. 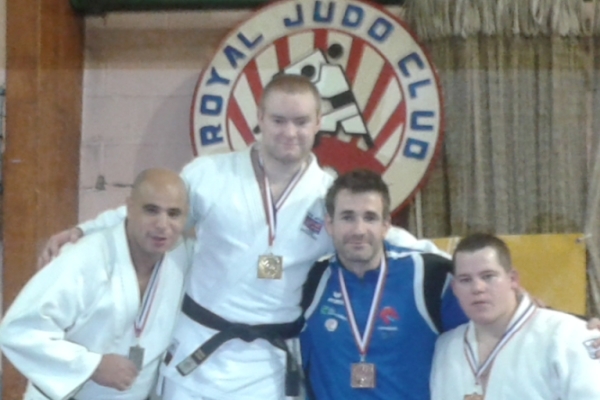 All of the Aylwin judoka fought well and collected a number of medals in a tough competition. Richard Raymond (6th Dan) led the squad assisted by Laurie Dalton, John Baseley, Peter Baldwin and Dave Tunstall. 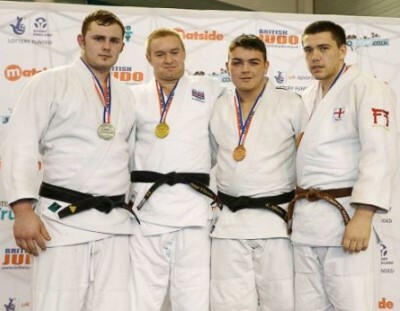 The squad were a credit to both their club and the British Judo Council. 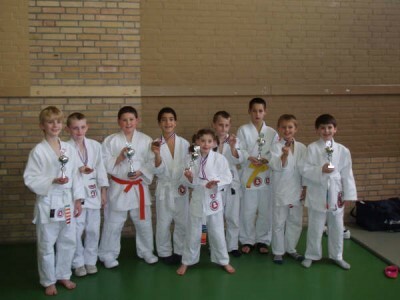 The standard of judo demonstrated by the players was very high with some excellent results. Moya Abiona defeated a very strong Dutch player from Rotterdam in the final to take Gold. 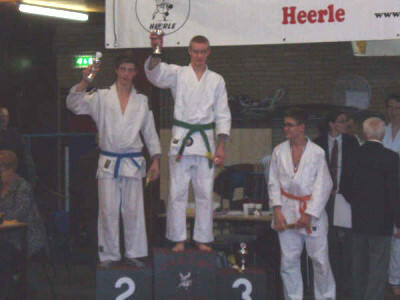 Peter Vincent took Gold in the Espoirs and then entered the Open Weight Seniors defeating Maurice Van Dooren from Garami Heerle in the final by wazari to take the Gold. A fantastic turnout with many Aylwin Judo Club players in addition to some 40 players representing 15 clubs from several organisations, coming from all over the South of England from as far as Bristol. 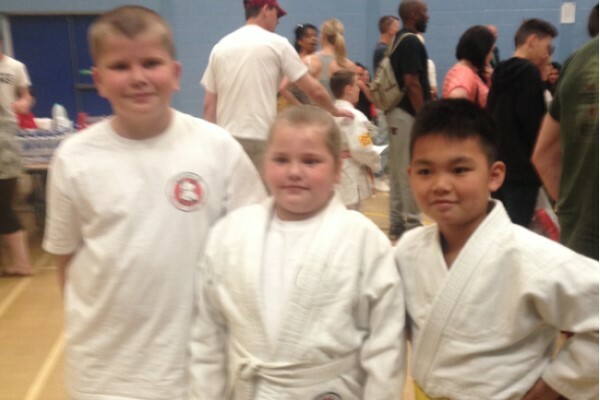 This event was hosted at the Biggin Hill Judo Club. In addition to practising and learning Nage No Kata and Katame No Kata, some students went on to work on Gonosen No Kata. Come along and join us in March for the next course. 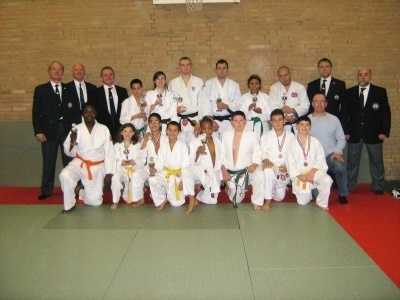 Aylwin Judo Club took a squad of players to the Ishin Ryu, Open Championships in Cambridge on 1st March 2009. For some of the younger members it was their first competition. The squad coaches were Richard Raymond, Laurie Dalton and John Baseley and the party included a number of enthusiastic parents. The competition itself was a very good standard with about 200 competitors from a number of organisations. 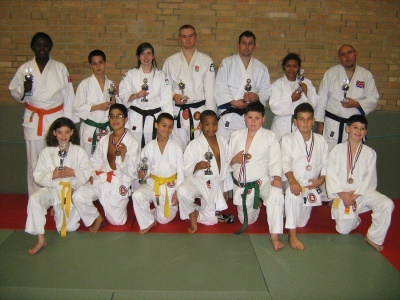 All the players worked hard in their contests and produced some excellent Judo. The team proudly display their medals with the members from the primary class at the club. 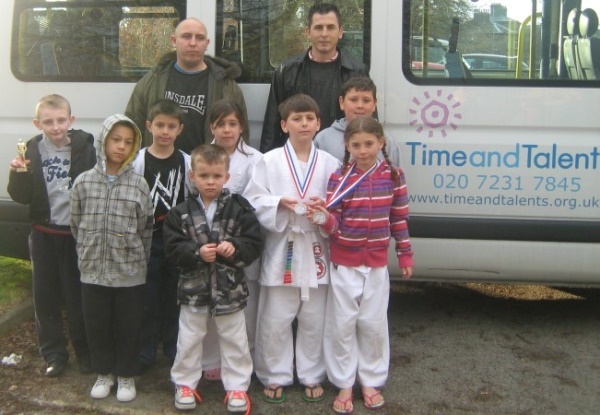 Aylwin Judo Club would like to thank the Time and Talents organisation for the use of their mini bus which enabled the team to travel to Cambridge for the day. 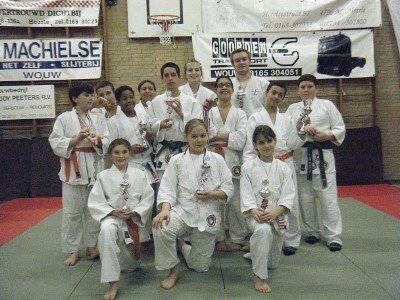 Aylwin Judo Club and the BJC South London Area took a squad of players to the St Nicolaas Toernooi in Heerle, Holland in November 2008. For some of the younger members it was their first trip to a foreign competition and a great opportunity to visit another country. The squad coaches were Richard Raymond, Laurie Dalton and John Baseley and the party included a number of enthusiastic parents and a long time supporter of the South London Area, Edi Horne, whose husband was a fourth Dan with the BJC. Also attending the competition from England was BJC club Washington from Newcastle. The competition itself was a very good standard with over 300 competitors from a number of the Dutch Clubs including some Dutch National players. All of the squad members fought very well and the squad took 3 Gold medals, 2 Silver medals and 3 Bronze medals with the rest of the squad being placed in the top six in their pools and receiving medals for this achievement. The medals winners included newcomers Liam Corbett (Gold), James Aris (Silver), Oscar Watts, Joseph Corbett and Scarlett Corbett (Bronzes) with seasoned campaigners and BJC National Squad members Peter Vincent and John Hisee (Golds) and senior Marc Hagone (Silver). The hospitality of the Garami Heerle Judo club was excellent providing meals and accommodation etc and a disco in the evening at the local centre where the English players stayed. Overall the weekend was very enjoyable and successful and thanks go to both the Garami Heerle Judo Club and to the coaches from Alwyn Judo Club who organised the trip. 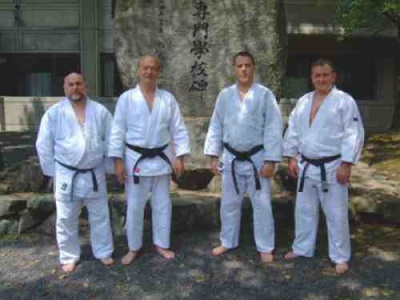 At the end of April 2008, 4 Judo instructors from the Aylwin Judo Club went to Japan, where Judo originates from. The picture is of the 4 instructors at the Butokuden in Kyoto. On 8th and 9th of March the South London Area arranged a day of Kata on Saturday followed by day of Gradings on the Sunday. 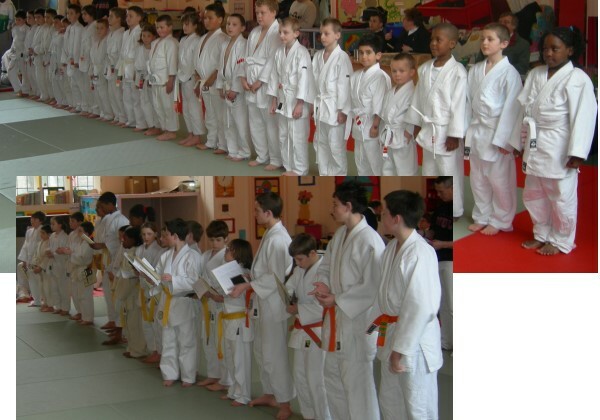 The picture shows the primaries and some of the juniors who attended and took part in the grading. Thanks to all those who attended. Well done to the club members below who entered the Northbrook Judo Tournament.